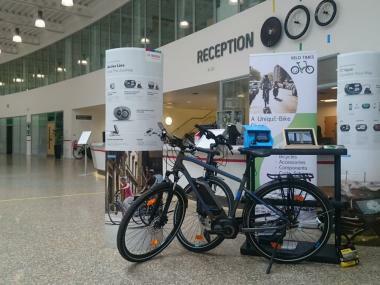 Trafford-based electric bike company Velo Times is looking to gain momentum as businesses become more interested in sustainable travel. Emerging from an existing bicycle rental and repair venture, Velo Times aims to promote and deliver sustainable travel solutions that reduce transport costs, lower carbon emissions and improve employee health, focusing initially on a range of electric bikes – commonly referred to as ‘e-bikes’. The company is now working closely with the Business Growth Hub’s specialist low carbon sector development team to boost its service offer and has already benefitted from a number of workshops to address skills gaps, as well as market data on companies with vehicle fleets in the Greater Manchester area. “By substituting some of their vehicle fleet with electric bike alternatives, large businesses can make a real impact on transport costs and emissions”, said Sarah Bingham, operations manager.